Beautifully renovated 4 sided brick home in McIntosh school district! 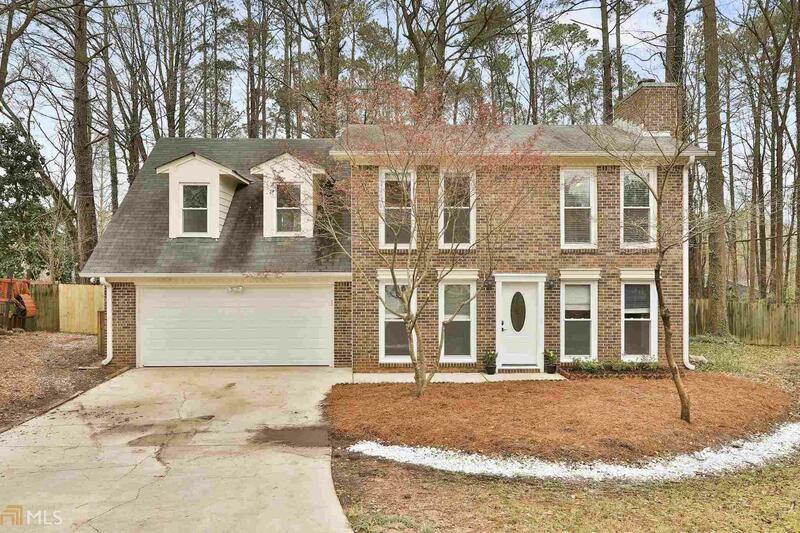 This home features 4 bedrooms, 2.5 bathrooms, formal dining room, great room with brick fireplace, breakfast eat in area, kitchen with freshly painted white cabinets & granite. Upstairs has master bedroom with 2 closets & renovated bathroom, 3 additional large bedrooms with neutral paint colors & brand new carpet. Upstairs hall bath has new vinyl flooring & new toilet. The large deck is perfect for entertaining, electrical outlet for hot tub or outdoor lighting & massive fenced back yard. Brand new flooring, new carpet, new french doors, whole house freshly painted inside, led lighting, home, deck & driveway recently pressure washed, freshly painted deck, new fence gate & new pine straw! Directions: I-85 S To Exit 61, Turn Left On Hwy 74. Approx 7 Miles, Turn Left On Peachtree Parkway, Cross Over Hwy 54 And Then Right On Waterwood Bend, Turn Left On Beacon Tree Way, 1st Left On Pine Pt. House Is On The Right In The Cul-De-Sac.